As a family company trading for 70 years and extending to 3 generations, we take great pride in being able to say our service has stood the test of time. Founded by Sid Smith in 1944 as Hunter River Motor Parts in Maitland NSW Australia, the company retailed in automotive spare parts and continued to do so into the early eighties. Prior to this in the sixties the company started to diversify selling power tools, welders, air compressors, workshop equipment, hand tools and accessories. By this time the company had also acquired several agencies for chainsaws. In 1963 the company became a dealer for Pioneer chainsaws, an entity of the American OMC conglomerate ( Outboard Marine Company ) and started to sell its range of chainsaws, the foundation of the company as it is today. 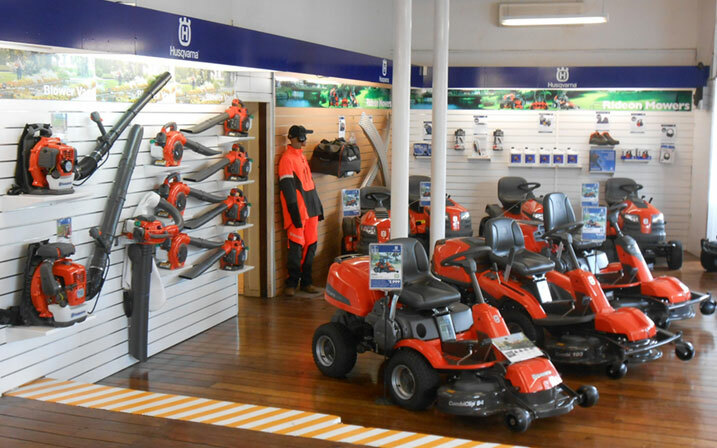 In 1979 we became a dealer for the Swedish company Husqvarna. As market trends changed and the automotive sector started to wholesale to supermarkets, the need to consolidate became necessary. The decision came to focus on outdoor power equipment. Through a major renovation process, the store was transformed into a modern retail facility to accommodate the demands of retail selling, both then and into the future. The showroom is now of a world class standard. Bright, clean, and bursting with an enormous range of outdoor products to cater for every consumer’s needs. That is flexible enough to change with market trends whilst still maintaining the traits of the business that have carried it so far. In 1999 the name changed to Hunter Outdoor Equipment, as the previous name was not applicable for the types of products that we now sell, and is managed by Doug and Gavin Smith. From depressions to floods, recessions and radical market trends, not only has Hunter Outdoor Equipment survived, but flourished in a business world where many come and go but few stay for the long haul. As we embark on the future where computers become business tools of survival, we at Hunter Outdoor Equipment are sure there is still one key to success that will never become extinct. That is good old fashioned service. Something only 55 years of retail trading and experience can give you expertise in. Hunter Outdoor Equipment is currently owned by husband and wife team Gavin and Seija Smith. Gavin has 30 years’ experience in the industry and has been Involved in the industry his whole life. His product knowledge and experience is unparalleled in Australia.